Spend some time with the one you love. 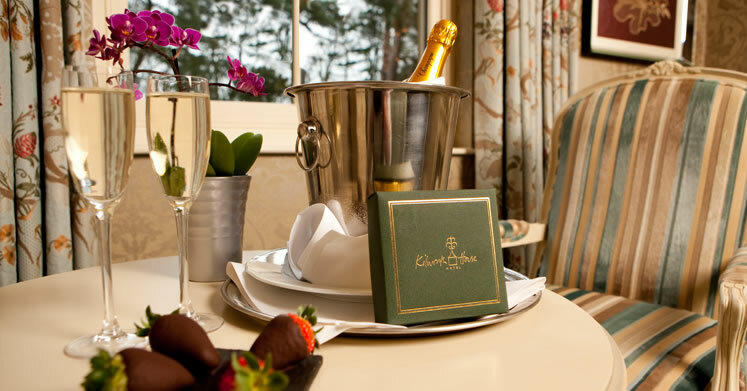 Whisk them away for a night of uninterrupted romance in a room filled with champagne, flowers, fresh strawberries and a box of luxury homemade chocolates. £80.00 plus the dinner, bed and breakfast rate. Rates based on two people sharing a garden room. Upgrade to a luxury room for £100 per room supplement. Upgrade to a four poster room for £100 per room supplement.